As I mentioned in my last post, I have joined the autosomal DNA bandwagon and have uploaded my raw DNA data from Ancestry into Gedmatch. I have also had my Mom tested and have uploaded her results to Gedmatch as well. And now things are getting interesting! One of the first things I did was to phase my DNA with my Mom’s. The phasing process compares my DNA to my Mom’s and determines which of my genetic information comes from her. The half that doesn’t come from her is assumed to come from my Dad. (He is no longer living, so I cannot phase directly with him.) As a result, in addition to my original Gedmatch kit, I now have a paternal-side kit and a maternal-side kit as well. Before I jump into my DNA findings, I need to mention a bit about my heritage. Pretty much all of my ancestors on both sides were in the southeastern Pennsylvania counties of Montgomery, Chester and Berks since colonial times. Some arrived as early as the 1600s. Many were Pennsylvania German, but some were Welsh, Scottish, Swedish and a few other nationalities. The communities in which they lived were small and relatively isolated. As you might imagine there were cousin marriages. This occurred within the lines of both my parents and also between their respective lines. So it’s possible, maybe even probable, that some of the phenomena I am finding with my DNA matches is a result of endogamy. With that being said, here’s what happened. First I ran a 1-to-many match on my full kit using the default parameters. This should return all the people in gedmatch with whom I share a DNA match of 7 cM (centiMorgans) or greater, sorted largest to smallest. I got 1500 matches that were all 8.1 cM or longer. 1500 is the cut off for the number of matches that Gedmatch returns in the the 1-to-many results. Thus I hit the Gedmatch maximum before I reached the 7 cM threshold. To circumvent this, I decided to run the 1-to-many match on my paternal-side and maternal-side kits. My thinking was that this would not only sort my matches, but that by splitting them I would see the ones I missed due to the 1500 limit. So I ran a 1-to-many on my paternal-side kit, again using the default parameters, and got 389 matches. Then I ran a 1-to-many on my maternal-side kit and got 481 matches. A grand total of 870 matches!? Yes, I lost matches! Lots of them! So what happened? I am not totally sure, but I have a possible explanation. The first step is to understand how gedmatch determines matches. Basically, the process of matching is comparing the respective values at certain locations (SNPs) on chromosomes of two people. But since our chromosomes come in pairs – with one coming from Mom and the other coming from Dad – we have 2 values at each location as does the person to whom we are comparing. In order to be a match at a given location only one of our values needs to match one of theirs. But when it makes these comparisons, gedmatch does not have the information to know which of the two values is contributed by which parent. To have a true IBD (identical by descent) segment, the matching values culled from my pairs must all come from either my mom or my dad, but not a combination of the two. Same for the other individual in the match. Thus, it would seem that the matches that disappeared were actually false matches and the result of one or more small segments inherited from my Dad combining with one or more small segments inherited from my Mom to form one larger segment that matched someone else. At least this the explanation I have come up with at this point. What is still unclear to me is whether or not my results are typical. Does my genetic background and the fact that I have cousin marriages and pedigree collapse in my 8 generation pedigree chart make me more prone to these types of false matches? Is losing over 40% of their matches something most people can expect when they phase their kit to their parent(s)? I would be interested to hear what others think and what their experiences are regarding this. Until recently I was one of those people who did not think that autosomal DNA testing would bring much to the table in terms of advancing my own genealogy research. I have been researching for over 10 years and have built up my family tree through various traditional sources — both online and off-line. I have identified all my 3x great-grandparents by first and last/maiden names and all but 5 of my 4x great-grandparents. Granted, beyond that I have more holes and hit brick walls, but my thinking was that I would need to find a 5th, 6th or higher cousin with whom I share DNA and who is a lineal descendant of one of my unidentified ancestors in order to solve one of those brick walls. I thought the chance of that happening was pretty slim. But as the genetic genealogy buzz grew and more and more people were getting tested, I started to change my mind. Even if I was not able to break through a brick wall, maybe I would be able to find an elusive cousin who inherited the old family photographs or the family Bible. And so a couple of months ago I decided to get an autosomal DNA test. Basically an autosomal DNA test is used to identify genetic cousins. Google can help you if you are looking for a detailed explanation of the mechanics. I chose to test with AncestryDNA because 1) they were having a sale [smile] and 2) I thought most AncestyDNA customers would be existing Ancestry.com customers and as such would be more interested in finding cousins than in finding their deep ethnicity. (I must admit that based on the number of matches that I have with no tree, I was undoubtedly wrong on that account.) I was also thinking that I could upload my AncestryDNA results to FTDNA. This would enable me to take advantage of finding matches in their system as well, and I would only have to pay the transfer fee. I have not done this step yet, but I have not ruled it out. My current match results on Ancestry are pictured below. In order to look at the chromosome matches, AncestryDNA customers must upload their results to Gedmatch (or FTDNA). 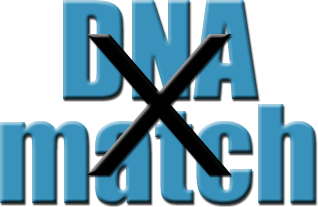 The Gedmatch website provides several useful tools. It operates on a “free-mium” model with certain tools being free to use while more advanced tools require a donation or subscription. An added benefit is that FTDNA and 23&Me customers can also upload their data, thus results from all three companies can be compared. I have only used Gedmatch a short while, but it has been incredibly useful and necessary. The major downside, of course, is that not all of your matches have uploaded their data to that site. So while Gedmatch is awesome, I still think the community needs to continue to try to convince Ancestry to provide it’s customers with the tools necessary to make informed and valid analyses. The bottom line with all this is that I have already met and collaborated with cousins that I probably would not have found otherwise. I am glad that I joined the DNA band wagon — and I even convinced my Mom to join me!! !